This prize was allocated early in 2017, however it took some time before we had the the chance to present it to the winners. This took place recently in Spain. 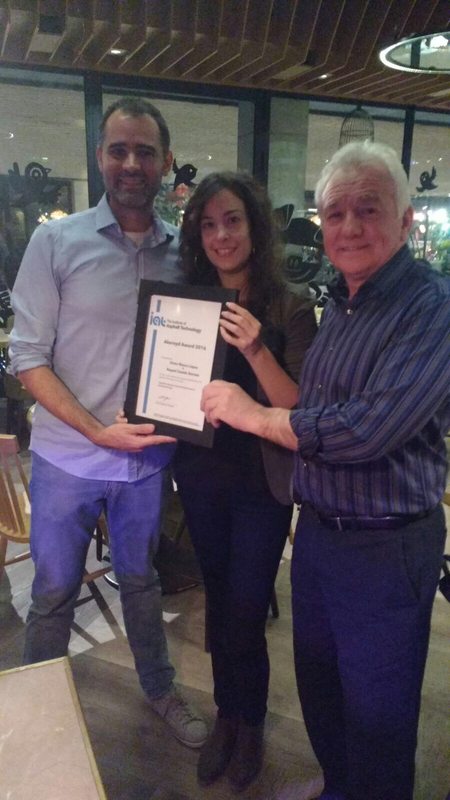 "Asphalt mixtures improved by the use of nanotechnology"
Victor and Raquel receive their award from Arthur Hannah.